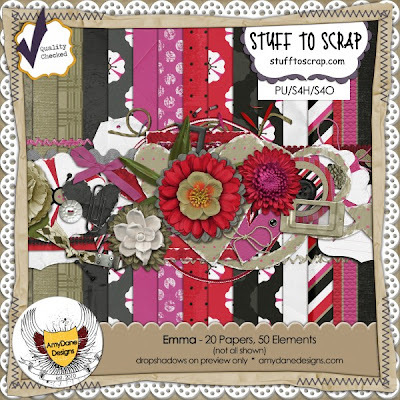 The dynamic duo of AmyDane Designs (Amy & Dana) have just released a wonderfully adorable kit called Emma. The colors are so bright and pretty with a hint of masculinity in there. It's filled with girly but strong colors--a bright, pink-y red and a fabulous fuschia pink mix with tan and some pops of black & white, too. Plenty of papers and elements will allow you to scrap your favorite gal(s) from itty-bitties to big girls to grandmas without all of your layouts looking exactly the same. Product image is linked to the STS store. Layout images are linked to the STS Gallery. 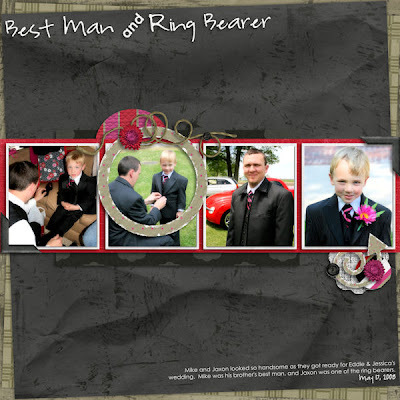 I created this one below for the July Featured Designer Challenge. 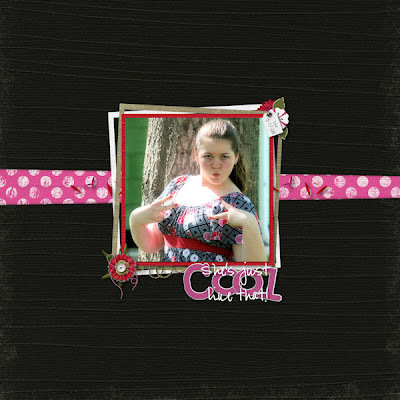 I created this one below for the July 1 Speed Scrap. 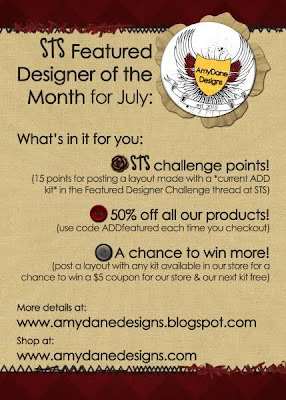 Don't forget...AmyDane Designs is the July Featured Designers this month at Stuff to Scrap. Check out this blog post for more details on how to win a $5 coupon to their store.